"TeamCity 7 Continuous Integration Essentials" is the first book of its kind showing in a sequential approach - how to start implementing Continuous Integration - over generic projects and enclosing rich features of the TeamCity as a project gradually evolves. You will learn how to start a new Java project from scratch generating a working "skeleton" of web application using Apache Maven and later adding some business logic and writing certain tests. After that, you will know how to perform a swift attach of TeamCity facilities to your project and eventually change it into rich featured information source describing the current state of your venture. 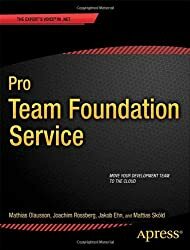 If you want to benefit from Continuous Integration and are considering using TeamCity then this book is for you. You will be acquainted with everything you need to know in order to apply Continuous Integration with TeamCity by installing it first, then turning on automatic supervision over project's reliability, and finally tuning up advanced settings in order to match your needs. A step-by-step practical tutorial towards succesfully applying Continous Integration with TeamCity. This book is great for developers willing to start utilizing Continuous Integration on a daily basis and does not really care how experienced you are at your programming skills. You may not need to be a programmer at all in order to use all advantages of the TeamCity. 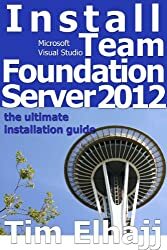 Quality Assurance engineers would benefit from this book as there's enough information explaining how to maintain build configuration for tests and administer TeamCity Server. Even project managers and other managerial staff distanced from actual working with the code will find their value in TeamCity as they will be kept abreast of the project current status. Volodymyr Melymuka is an agile and experienced Lead Software Engineer and a qualified team leader, who applies Continuous Integration with TeamCity for more than 4 years as of now. He took up key roles and led several projects in which he applied various agile/XP practices such as TDD, BDD, and continuous delivery, among others. During his work he used and administered many CI servers, namely TeamCity, Jenkins, and Bamboo. He currently works as a scrum master and team leader in TomTom's offshore development team. His former working experience involved large enterprises such as UBS Investment Bank and BAWAG P.S.K., and a great unbelievable project for SecondMarket Inc. He has a number of professional certifications such as Certified ScrumMaster from Scrum Alliance and ICAgile Associate by ICAgile consortium. Besides being interested in the latest web technologies and many others things, he is also a former musician and he is fond of portrait photography, especially the ones involving children.